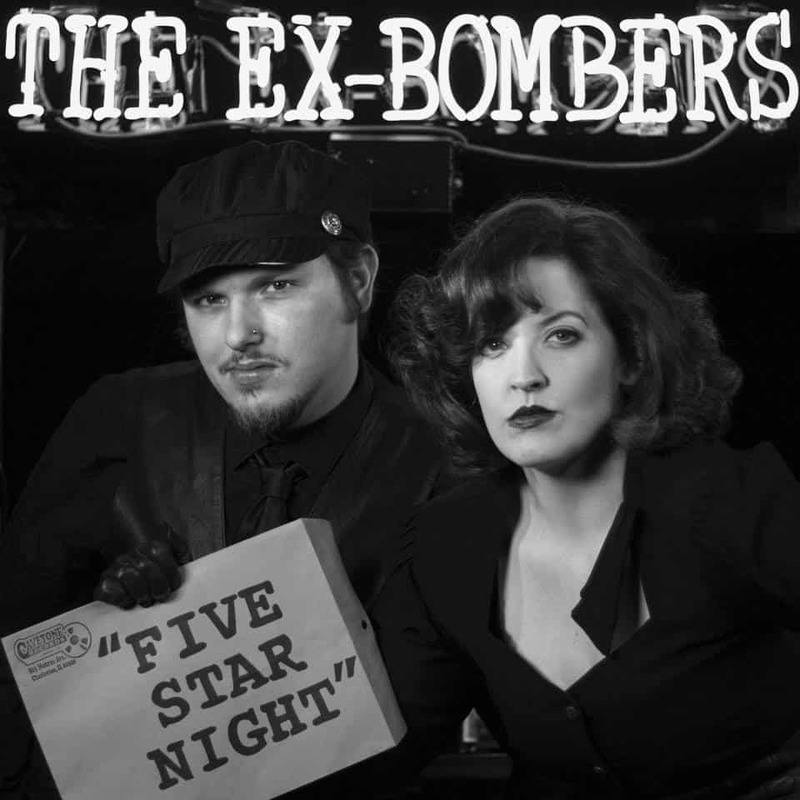 The Ex-Bombers are a seedy film noir pop duo from Illinois. The duo cloaks their sultry rhythms and narcotic melodies in hypnotizing songs and ballads. The pair have released two full-length vinyl-only LPs and a 7” anti-single. In sound and aesthetic Kerri and Scott gleefully combine femme fatale jazz and the seediest of 60s pop in respectful reverence for their favorite bands, Velvet Underground, Soft Cell, Girls Against Boys, Traffic and Sonic Youth .